Many illnesses and conditions are treatable when identified early in their development and addressed with the best course of action medicine can offer. Sometimes, those suffering from serious conditions don’t make it to see their doctor soon enough to stop the illness before it spreads. However, sometimes doctors fail to dedicate the necessary time and attention to their patients, resulting in missed or late diagnoses that other doctors would catch. Read on to learn more about malpractice lawsuits for failure to accurately diagnose medical conditions. Malpractice claims for failure to diagnose have three main components: a) A doctor/patient relationship existed; b) the doctor acted negligently by failing to diagnose the patient’s condition; and, c) the patient suffered some harm due to the doctor’s failure to diagnose. Doctor/patient relationships typically come into existence when you seek care from a given physician. Showing that the doctor was negligent when failing to identify a condition or illness, however, is harder. The patient must present evidence that, under the same or similar circumstances, a reasonably competent doctor would have diagnosed that patient’s condition, so that a failure to do so constituted negligence. Typically, patients will need to present evidence from medical experts identifying what a competent doctor would have seen in the patient’s file, symptoms, or test results that would have led to a diagnosis in order to prove that their doctor was negligent. 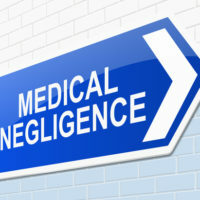 There may be circumstances where, even though the doctor was negligent in missing obvious symptoms or signs that you were sick, that negligence wasn’t the cause of your harm. For example, let’s say you visited your doctor with intermittent headaches accompanied by light sensitivity and visual aura, and that doctor negligently failed to diagnose that you were suffering from migraines. Then, you visit another doctor who does diagnose you with migraines and starts you on a successful course of treatment. While the first doctor was negligent, no substantial harm was caused by the failure to diagnose. However, if your dermatologist negligently failed to identify a particular mole as pre-cancerous, and you subsequently developed advanced skin cancer when removal of that mole could have prevented it, then the harm did result from the doctor’s negligence. Claims for missed diagnosis can be extremely technical and complex. Seek out legal representation with the experience and medical understanding to accurately assess your claims and seek compensation on your behalf in court. If you believe you were the victim of medical malpractice in Idaho, contact the compassionate and trial-ready Boise medical malpractice attorneys at Pedersen & Whitehead for a free consultation, at 208-734-2552.